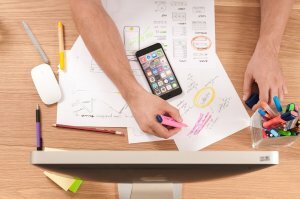 ﻿ How to Make a Language Learning App That Generates User-Engagements? Entrepreneurs – who want to build an engaging and effective language learning app for all language learners around the world. 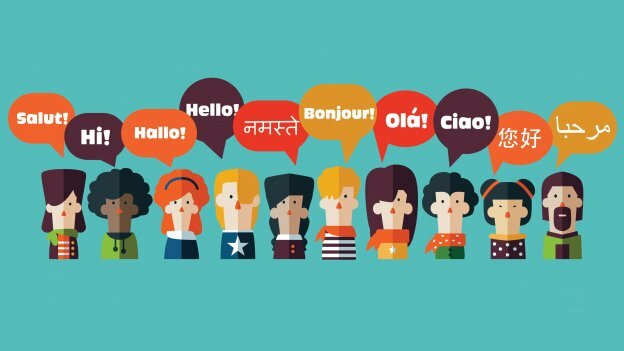 Learning a new language is an exciting process, but at the same time, it’s also difficult. In fact, the process sometimes becomes so tiring that people simply give up in the middle. But in past recent years, entrepreneurs have come up with several ideas to fix this problem with mobile app development for language learning. Right now, the most popular language learning apps include Duolingo, which is developed to make education personal and enjoyable. Then there is another top language learning app called Busuu which aims to provide high-quality language learning courses to its users. But despite the market competition, how can you build a language learning app that is effective? More importantly, what are the necessary features that one must include to encourage users to use your language learning application? To stay on top as an Android app development company, we keep analyzing for the different opportunities. 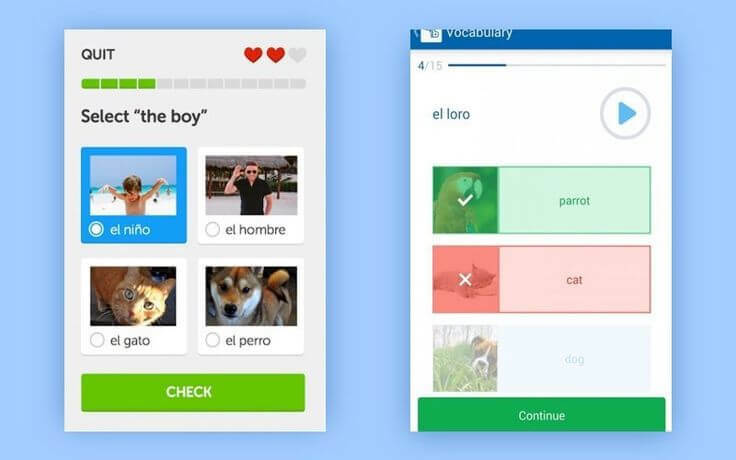 We found the best language learning apps and narrowed down the essential features for developing an engaging and effective language learning app. It is universally recognized that to learn different languages, one has to master the four basic skills – reading, writing, listening, and speaking. And to acquire these skills, people generally take the traditional approach such as reading foreign language book, use foreign language app & dictionaries, listen to audiobooks and watch foreign movies, but soon people get tired of these exercises. 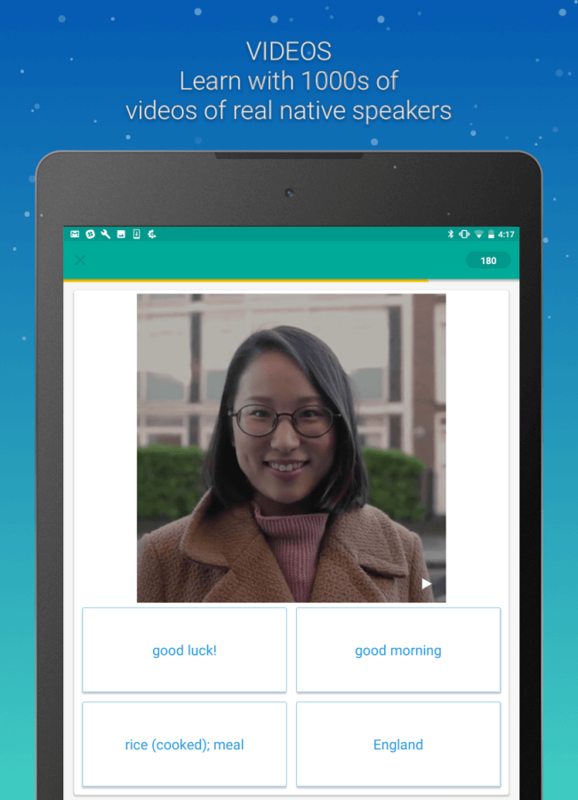 A Language learning app, on the other hand, is a modern alternative to learning languages. 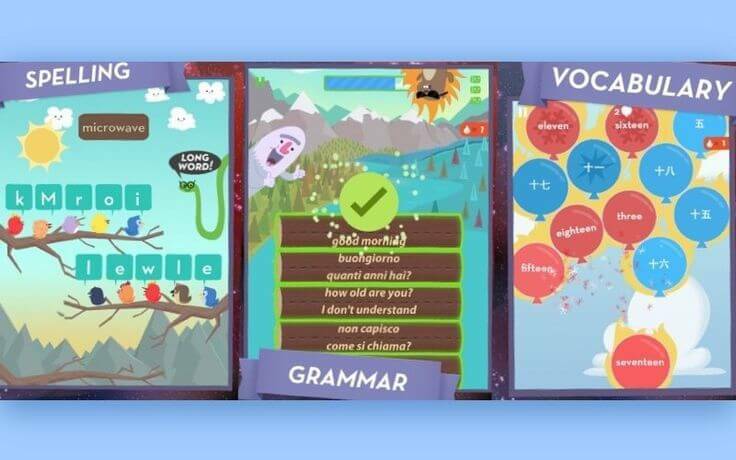 Though an app cannot fully replace a professional language tutor, however, the app still can be of great help for studying and learning the basics of the foreign language. Moreover, not everyone will necessarily hire a professional tutor for learning a new language, wherein a language learning app has millions of potential users. For instance, the language learning app Dualingo alone has app installs between 100,000,000 – 500,000,000, according to its Google Play product page. Now, without any further ado, let’s get straight to those 3 essential features. Language learning app can be an excellent tool for learning and memorize new words. And by providing separate vocabulary acquisition for different levels like Newbie as well as Advanced learners, you can provide separate language learning courses to make sure it isn’t overloaded if the user is at first stage of learning. Beginners: People who begin learning a foreign language should be provided with simple exercises with a focus on writing and reading skills which begin by teaching the most commonly used words in a particular language. Such type of workload is enough for newbies for whom the listening and speaking isn’t so easy yet. In Busuu app, for example, people can find various useful exercises to start learning a foreign language with a pictorial representation of the word. Similarly, you can also start giving your users a few simple exercises per day such as making them select translations of words, fill in the blanks, and drag words in right order. In fact, the Busuu app also provides what words a user needs to work upon. Advanced Learners: Some potential users, who want to learn different languages, then it might also be interested in taking more of a serious approach for vocabulary training. For such users, you can provide workload in form of complex quizzes on reading and memorize foreign language phrases. Vocabulary.com, for example, makes its users choose the right variant by looking at a word’s description, synonyms, or antonyms. And at the same time, the absence of object image in front of words also makes learning tasks more complicated for users. 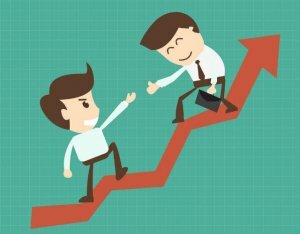 If you think about it, it is an interesting fact that when people communicate with each other, they generally spend 40-50% of their time in listening. That’s why you must also provide some learning courses for the listening part. Moreover, for many people it is difficult to understand the foreign speech at a satisfactory level, which is why your language learning app must also provide listening exercises to train users for speech comprehension effectively. Memrise is one such type of a language learning app. It has large amount of videos and audio tracks to let its users listen to native speaker’s speech and participate in an exercise afterwards. Imagine this – two people from U.S. wants to visit India, enjoy the country’s different traditions, and talk to locals. Now both of them have already learned Hindi grammar and basic vocabulary, but there is still one problem…Both are not so good at Hindi pronunciation. 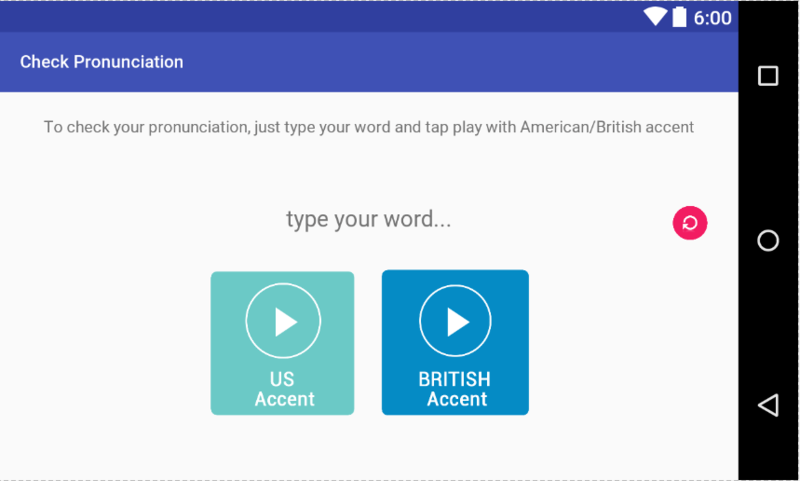 Fortunately, with a feature to check the right pronunciation, by integrating speech recognition technology in your language learning app, you can fix this problem. In simple words, you can add audio clips or dialogues for your users to improve their pronunciation. And afterwards, you can also take test of your users with speech recognition integration to make sure that they’ve pronounced a foreign word or a phrase correctly. TerraTalk is the ideal example of such application. 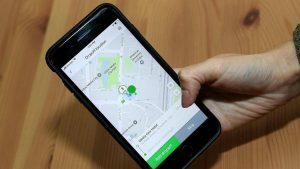 It has a built-in AI (Artificial Intelligence) that examines how its users pronounce words and also check how correctly or fluently they’ve spoken. When starting to learn a new language, most people hope that their experience will be captivating. But over time, it all fades away once they meet some serious barriers. So for this reason, adding gamification in your app makes the right decision to keep users motivated throughout entire courses. Usually, most people get tired of boring explanations and list of difficult rules. However, you can overcome this challenge by adding Gamification in your learning app. Gamification can not only ease the studying process for your users, but it can also make the users use your app more often. Take MindSnacks for example. It is actually a specialized game to learn different languages. The app basically has 9 different games that captivates its users. Memrise also makes it users to feel like spies who are carrying out a special mission throughout the language learning app. 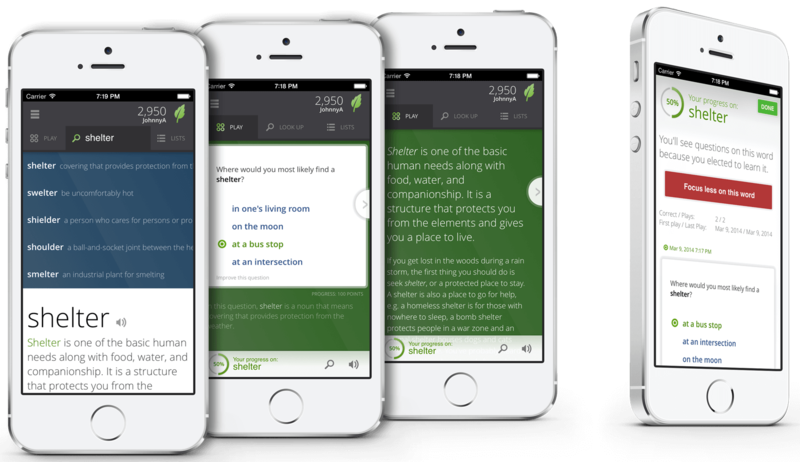 Similarly, the TerraTalk app also allows its users to try an interesting roles every time they take a new course. In fact, we’ve also developed similar, fun learning apps such as Vocabulary Buddy app, Handwriting for Kids, and many more. Feel free to check out our education apps portfolio. A language learning app must provide all necessary courses to learn basics of speaking, writing, listening, and reading for users to learn a foreign language with ease. And it also must include gamification to motivate and entertain users. If you’d also like to develop an app to learn different languages based on these features and want to hire a mobile app development company, you can contact us by filling out below form with your requirements and we’ll get back to you within 24 hours. This page was last edited on September 18th, 2018, at 2:53.